Summerwind is located in Corona del Mar. 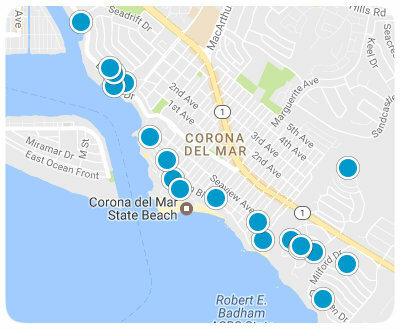 Corona del Mar encompasses all the land on the sea side of the San Joaquin Hills and south of Avocado Avenue to the city limits. Summerwind is positioned south of the Pacific Coast Highway near MacArthur Boulevard intersection, east of Irvine Terrace. 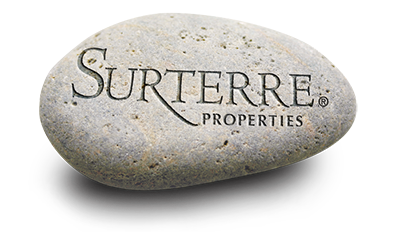 Summerwind is a small ocean front community made up of single family homes, with some townhomes and terraced homes mixed in. It is primarily a single family home neighborhood. Summerwind is a gated neighborhood. The high cliff setting for this neighborhood ensures their 360 degree panoramic views of the Pacific Ocean, Balboa Island, Catalina Island, white water and impressive sunsets. Summerwind strictly follows the height restriction by laws of Corona del Mar so all residents can enjoy these wonderful views. Summerwind is very close to world class shopping and fine dining at Fashion Island and trendy boutique shopping and al fresco café dining at Corona del Mar Village. Corona del Mar students attend schools in the award winning Newport Mesa Unified School District. The Corona del Mar area schools are Anderson Elementary School, Eastbluff Elementary and Mariners Elementary. The middle and high school is Corona del Mar Intermediate and High School.